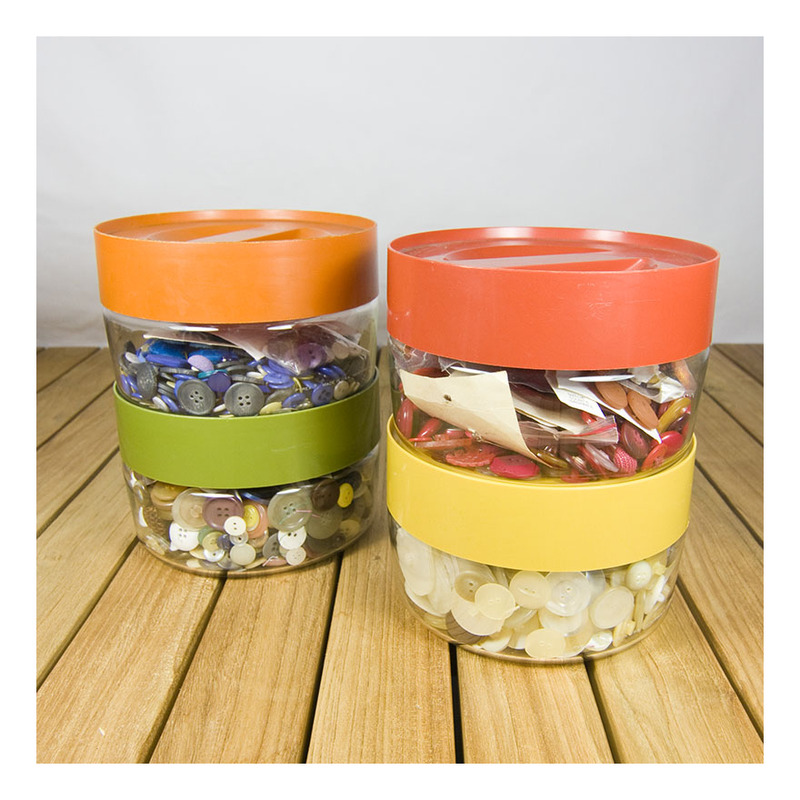 I use these canisters- with their funky 60s colours – to store my retro sewing collection. Any sort of see-through canister is great for re-use – as is stackability – a great 60s invention. These Pyrex canisters came in 4 different sizes- the largest is shown here. You can collect the canisters in the colour-ways; green, yellow, orange, red or blue. Check the Pyrex motif is on the base- there are a few fake imitations around. They don’t make them like they used to. Of course, you can still use the canisters in the kitchen for their original purpose: just make sure the sealing ring is intact. I have only collected canisters with the original rings, even if they are only storing buttons. Email me if you’d like to buy! You can collect the canisters in the colour-ways; green, yellow, orange, red or blue: make sure the sealing ring is intact; and that the Pyrex motif is on the base- there are a few fake imitations around. They don’t make them like they used to.